Undocumented migrants win the battle to get their papers. A historic strike filmed from within. Paris, 2009. More than 6000 undocumented migrants (sans-papiers) go on strike to demand their legalization. 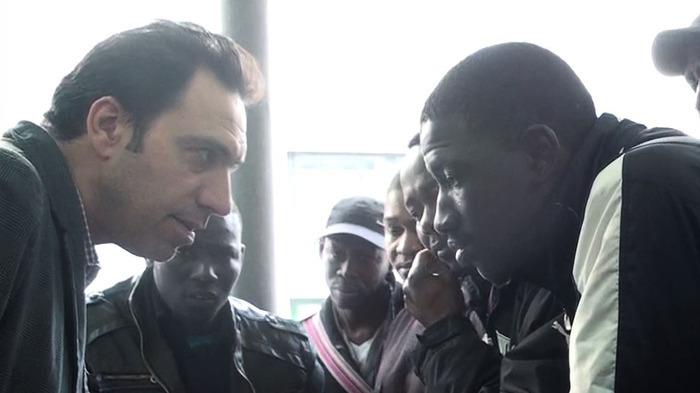 Despite being illegals, Mohamed, Diallo, Hamet and others have worked and paid taxes in France for years in restaurants, cleaning companies, or construction. They have invested all their energy in this battle: now that their status has been disclosed publically, there is no way back.